November 2018 – – Our community endowment just completed its eighth year of making small grants to local programs, projects and organizations and the total in grants comes to nearly $30,000 plus $4,000 in student scholarships. WHAT IS THE SANDSTONE TRUST? 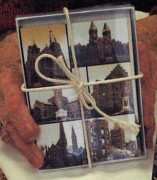 The Medina Sandstone Trust, as envisioned in 2010 by the Sandstone Society, is similar in nature to ones now in neighboring towns, specifically Lyndonville Foundation and Albion’s Curtis Foundation. 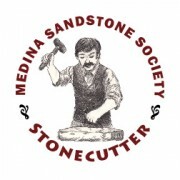 These are like a local “savings account” for communities and like these, our Medina Sandstone Trust intends to yearly help motivate and drive worthy local projects through grants. These will come from funding derived from investment of principal. There is no complicated mystery in the workings of a foundation, an endowment, a trust fund, or similar methods of putting hometown donations to work. Tax deductible gifts of cash or pledges are received from citizens, groups or businesses, bequests made in wills, fund-raising events, etc. These funds are then invested through careful professionalism and it is the proceeds from these investments that make possible the periodic grant awards for worthy civic programs and projects. Choosing the recipients of awards would be the job of a selection committee made up from persons representing a cross section of community life. Although a wide range of projects may be considered, typical projects supported by other foundations include festivals, celebrations, community improvements, youth and senior citizen programs, scholarships, tourism efforts, cultural programs, etc. 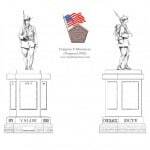 Various fund raising efforts raised the initial $50,000 in order that the awarding of grants could begin. This was a result of private citizens, businesses and groups who contributed to the growth of the Trust. Annual fund-raising and bequests from estates will continue growth of the Trust. WHO WILL ADMINISTER THE TRUST? The Community Foundation of Greater Buffalo, an agency that not only handles donations within its own city area, but also manages endowments for many other clients, has been selected to do the administrative and investment functions for our Trust. They will also handle all necessary tax related reports and conduct occasional training seminars for officers and directors. If this type of community endowment for our village and towns makes sense to you or to any group or organization to which you belong, the Sandstone Society will welcome your help as a volunteer during the campaign of the next ensuing year. Please complete our online form to register. To donate to the Sandstone Trust, click here. Applying for a Sandstone Trust grant is simple. Deadline to apply is generally the end of the first week in November. Applications will be reviewed in November and grants will be awarded in December.